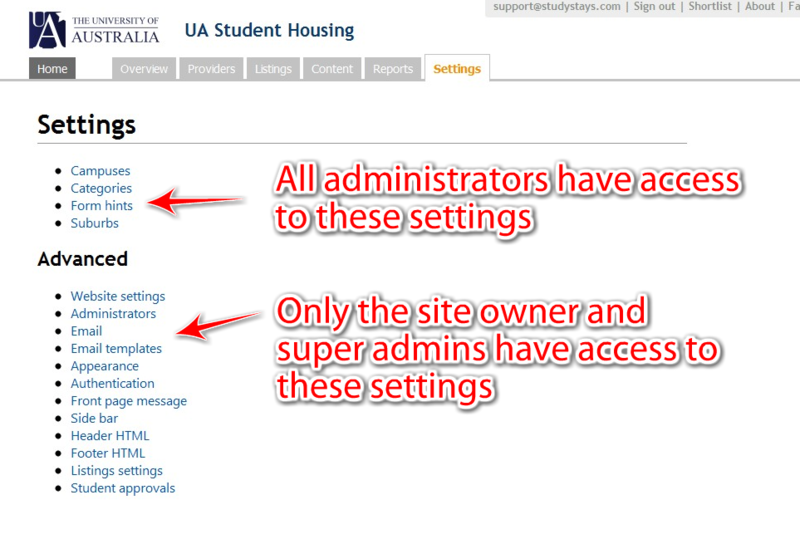 These sort of questions are easy to answer if you've set up administrator accounts for the people (or groups) that administer your StudyStays website. Separate administrator accounts will mean each administrator signs in with a separate email and password, and certain actions they perform will be attributed to them. There are 3 types, or levels, of administrators. There's only one of these per website. This is the person who has overall responsibility for the site and has access to all the advanced site settings (including creating new administrators). They can't be deleted. These administrators have the same access to advanced functions as the site owner. Unlike the site owner, they can be deleted. All other administrators can perform functions like managing providers and listings, but they don't have access to the more advanced site settings. 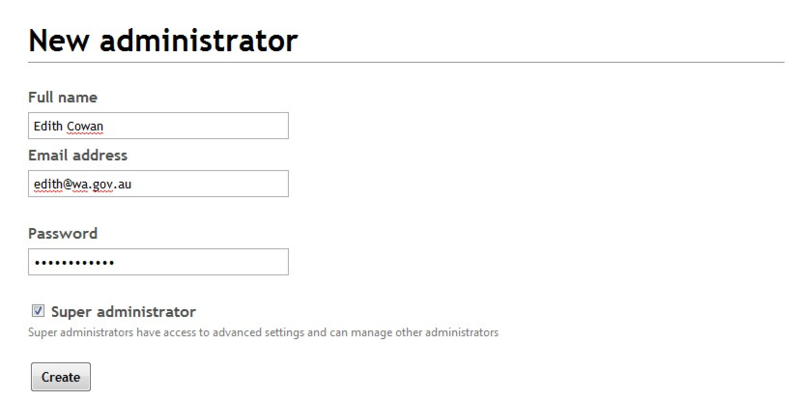 First, you must be the site owner or a "super admin" to create accounts for other administrators.